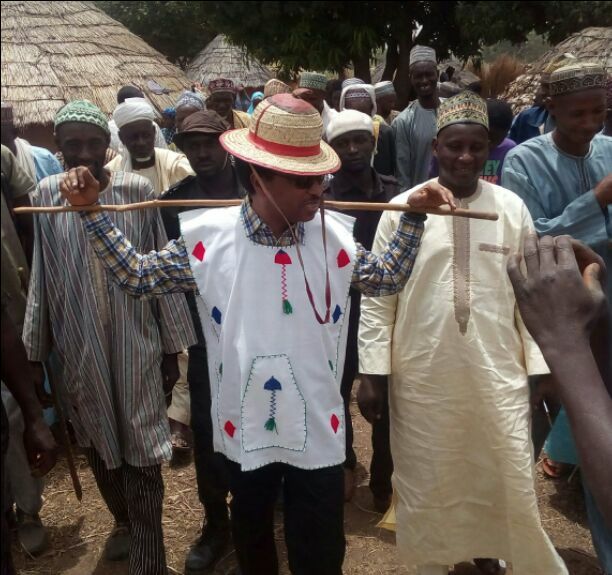 Senator representing Kaduna central at the upper chamber of Nigerian National Assembly, Shehu Sani on Monday handed over a property meant for skill acquisition need of youths around Chikun local government area of the state to leadership of Christian Association of Nigeria (CAN). Handing over the building to CAN officials in the state, the lawmaker said, those who elected people of purpose into political office can’t find it difficult reaping the democratic dividend hence the need for him to come back after the election. According to him, “we provided this structure believing that it will be use for a life time. It can also be used in training our youths and women to help themselves and their family members. The skill acquisition centre is aimed at empowering women and youths in communities around Chikun and Sabon Tasha”, the senator said. According to Sani, the gesture was the beginning of what he intend to do across the senatorial district. “This is simply my effort in providing the necessary support for our young men and women to start their businesses. We all know that our country is unable to provide employment to our teaming youths and women but this skill acquisition centre will be a place where many people will learn traits that will help them in life. “There are alot of things we can do to help the unemployed to start up something. This is a very peaceful community that is predominantly christian and the best we can do to them is to be able to help the unemployed to start something”. He hinted that, he has been able to acquired three properties in Giwa, Birnin Gwari local governments and donated them to two Islamic sects; the Sunni and the Darika saying, it is just natural to reciprocate same in Christian community. “So, as a senator representing Kaduna central, I am representing both christians and muslims. This is the beginning of what we intend to do to the christian communities. “Over the years, we have seen orphanages unable to pay their rent. We intent to help some of them because when they have their property the issue of non-payment of house rent is tackle”. “On skill acquisition, it is clear that both the state and the federal governments have fail in their responsibilities. “I will personally equip the acquisition centres to stand on their own and help our citizens to be self reliant. Kaduna is a heterogeneous and multireligious society. Whatever one does, he must be sensitive and appreciates these facts,” Shehu Sani added. “If we are talking about Southern Kaduna, it starts from the central part of Kaduna. If you are also talking about Northern Kaduna, it still start from the Central. So, my constituency is very strategic and in all our dealings, we have always ensure that everyone is carried along”, he stressed.